The $23 bln buyout firm’s shares are up nearly 30 pct since it decided to change from a partnership to a company. That suggests it’s attracting greater investor interest, as hoped. Rivals like Blackstone and Carlyle, whose performance has lagged, can’t help but get the message. 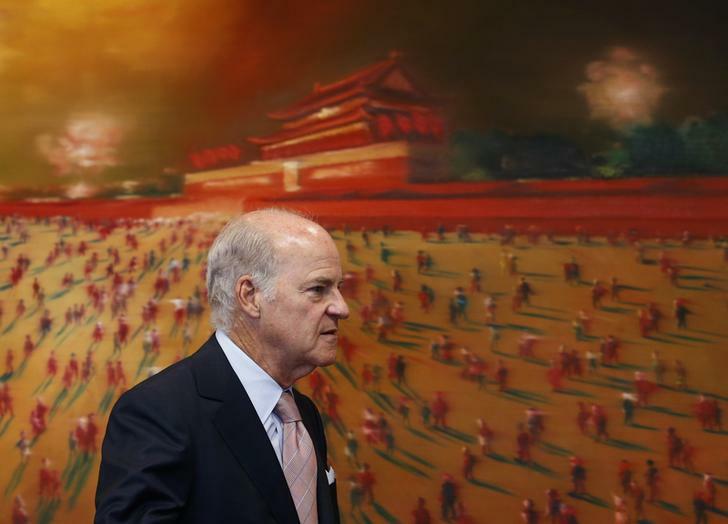 Henry Kravis, co-founder of private-equity firm Kohlberg Kravis Roberts & Co., attends a media briefing in Hong Kong September 16, 2013. KKR on July 26 said earnings attributable to common unit holders rose 68 percent in the second quarter from the same period a year earlier, to $680 million. At $1.24 a unit, earnings exceeded the consensus analyst estimate of 98 cents, according to Thomson Reuters I/B/E/S. KKR on May 3 said it had approved plans to convert from a partnership to a corporation, a change which became effective on July 1.